"Web have played a key role in designing and delivering our 2015 Festival website. They are a strong and committed partner to MIF and an essential part of the communications team. 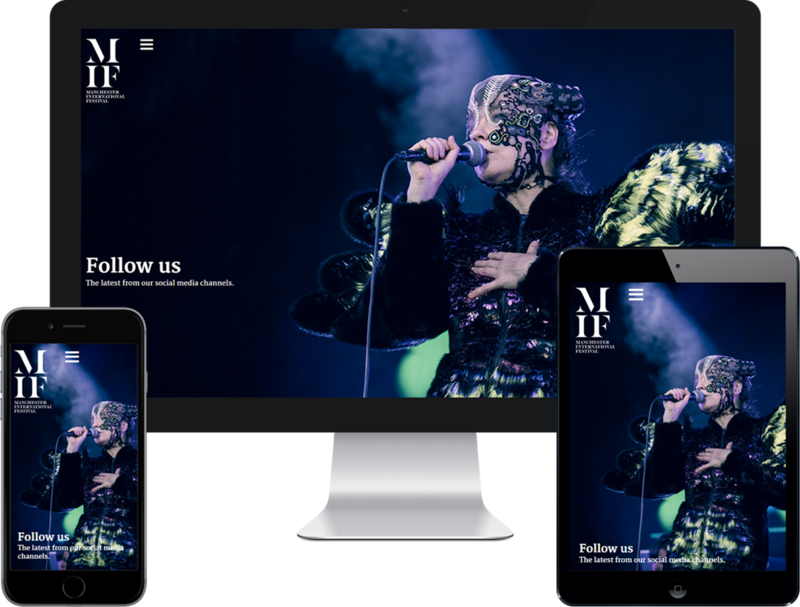 Web absolutely understood the needs of the Festival, are a pleasure to work with, and we now have a beautiful website which reflects our aims, objectives and brand". Janina Mundy, Head of Marketing, Manchester international Festival. The biannual Manchester International Festival is an artist-led commissioning festival presenting new works from across the spectrum of performing arts, visual arts, and popular culture. Web's brief was to create a website that integrates ticket sales into a backend application that could cope with extreme traffic levels. In 2015 the site peaked at over 1000 users per second for the initial tickets release. A crucial role of the new website was to engage users outwith the concentrated period of the festival programme. 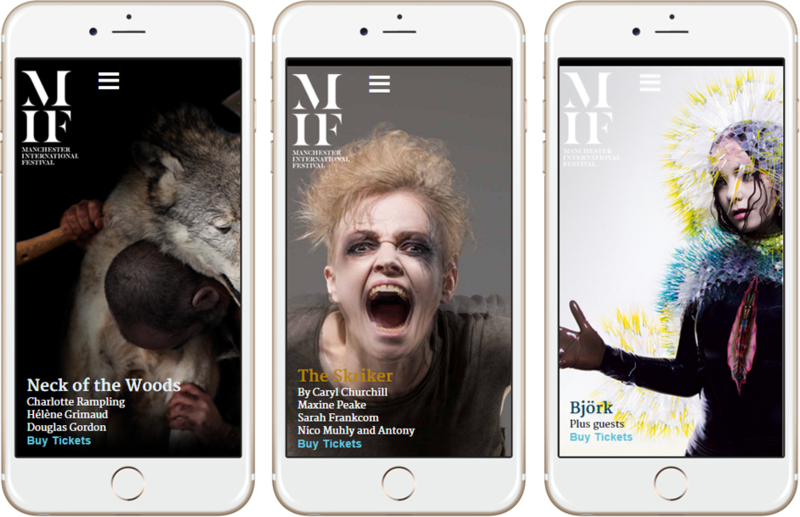 To this end, guides to Manchester were created along with profiles of artists and a touring feature showing the current location of the MIF productions as they tour the world. The festival website attracts 47% more traffic than previous festivals.